Fishino Shark is the third board of 32 bit Fishino family. 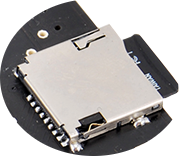 It’s a board 100% compatible with the famous Arduino MEGA, but with a 32 bit MIPS controller and many add-ons which greatly enhance its capabilities. Among the highlights of Fishino Shark are the 32 bit MIPS controller, with 512 KBytes of flash and 128 KBytes of RAM, a stereo audio codec on board and the ability to be powered by a single cell LiPo battery, which gets automatically charged when another supply is available. 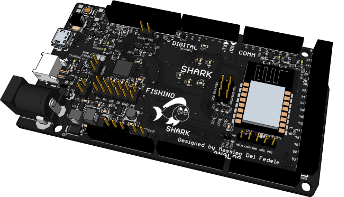 Fishino Shark is based on Arduino platform, keeping all of its features and adding new ones. This guarantees that all Arduino’s shields will work with no changes on Fishino Shark, along with the libraries that uses standard Arduino functions. To manage the embedded additional components and other specialized hardware you'll find all needed libraries and some tutorials on this site. All Fishino Shark’s power supply stages are in high performance switching technology. 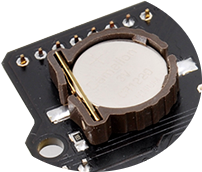 You can power it by a LiPo battery, the USB connector or the external supply plug with a voltage range from 3.5 Volt to over 20 Volt without the thermal problems that are common to original Arduino MEGA boards, even when powered by just 12 Volt. Fishino Shark has a battery supply module on board with chager for single cell LiPo batteries. It can be used for your mobile projects. 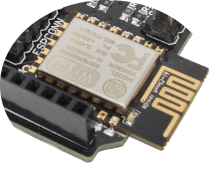 Fishino Shark has a performant WiFi module on board, which firmware has been tailored by us. With Fishino you’ll be able to connect to an existing WiFi infrastructure or build your own one. The ability to use a readly available microSD card brings Fishino Shark the ability to work on big data sets, build small web servers and portable data loggers. The 32 bit controller has an embedded RTC (Real Time Clock) module which runs even with the main processor in stand-by mode; this allows Fishino Shark to keep the internal time even with no power supply and, if required, to wake it up on external events. 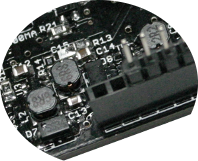 The addition of a shifted pinheader connector solves the well known Arduino problem of breadboard and prototyping boards incompatibility. Fishino Shark allows you to prototype your shields on a common breadboard while keeping at the same time the compatibility with existing shields.